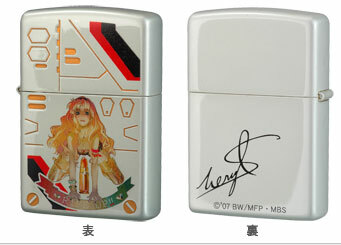 One of the more obscure products to come out of the Macross Frontier Marketing Machine is the limited edition Macross Frontier Lighter series with Ranka Lee and Sherly Nome. It retails about Y10,500 and can be ordered here. This was announced today in the Macross Frontier website. Personally though, I think its a bit overboard. 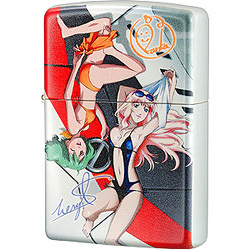 But hey if you're a smoker and just want a little bit of Macross Frontier while you catch a smoke then maybe this will suit you. 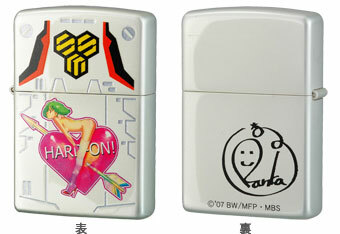 Some other variants of the lighter design series can be seen below, I think however they're made by a different company.